Almost two years after it entered India, global fashion retailer Gap struggles to keep up with rivals Zara and H&M. 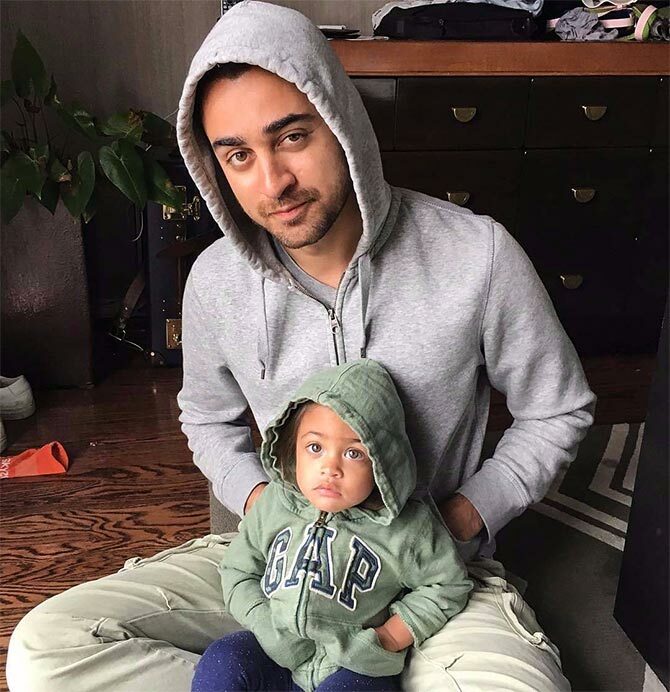 IMAGE: Actor Imran and his daughter Imara. Photograph: Kind courtesy www.gap.in. What ails American fashion giant Gap in India? Just four months short of its second anniversary in the country, the brand is still stuck at the sidelines even as rivals race past with better sales numbers and a larger brand footprint. According to some mall developers that had hoped Gap would raise footfalls and sales, the numbers are way short of expectations, almost half that of that of European rival H&M (Hennes & Mauritz) that entered the market later. The criticisms fly fast from all stakeholders. 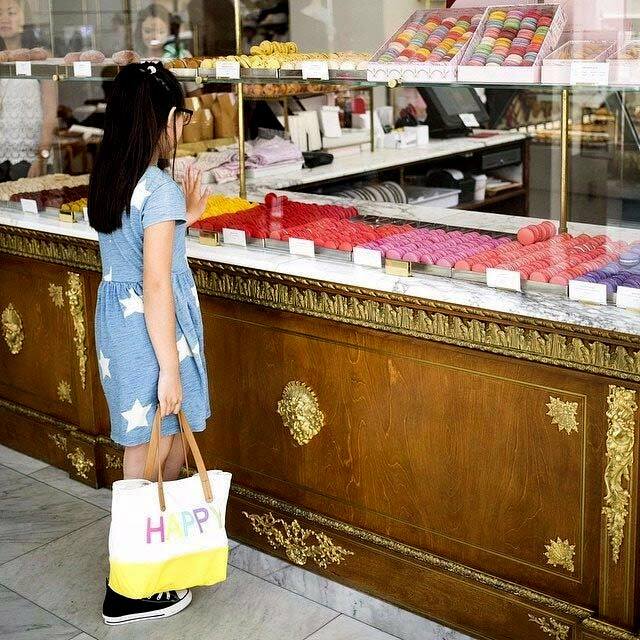 The American brand, say fashion experts and mall owners, has failed to leverage its global positioning and is lagging behind fast fashion brands Zara, Forever 21 and H&M. It has failed to connect with local styles and trends and the fact that the brand is struggling globally has made it worse. His point is that Gap ought not to be branded in the same league as the rest. IMAGE: Bajirao Mastani star Ranveer Singh launched one of the Gap stores in Mumbai. Photograph: Kind courtesy www.gap.in. Customers -- especially in markets where the brand is a relatively new entrant -- and mall developers in India rarely make such distinctions. According to a mall developer in National Capital Region, the brand does almost half of what H&M does in terms of sales. H&M clocks in about Rs 40 lakh worth of turnover in the mall per day according to him. According to mall executives from across the country, Gap was doing reasonably brisk business till H&M opened it stores in October 2015. Gap’s failure to spot the challenge from rivals stems from the brand’s inability to capture the pulse of the Indian market. It is out of step with the market in terms of the styles and its pricing strategy. Mall owners say Gap’s sales growth is in lower single digits in stores that have been in business for a year or more. “Their capex is high and they occupy prime spaces. They are not able to meet the targets. I think their logo merchandising is not working here like the way it is in the Western markets. They have promised all of us that they will improve the fashion quotient,” said the mall executive quoted above. IMAGE: Katrina Kaif blooms in a floral number alongside Aditya Roy Kapur. Photograph: Kind courtesy www.gap.in. Gap has taken up some of the most expensive slots in malls across the country; it is present at Select City Walk in Delhi, Mall of India in Noida among others. It runs a total of 11 stores. A big problem is that the costs are high, but the returns are way below what the brand hoped to muster. To add to its troubles, a mall owner says, Gap has not priced its products right. He says it is not priced right for the kind of fashion it offers. “They seem to be having issues with pricing. While they are priced similar to Forever 21 and H&M, others offer higher fashion,” said a mall head in Maharashtra. IMAGE: A Gapped out Kangana Ranaut, who was recently seen in Rangoon. Photograph: Kind courtesy www.gap.in. What he is hinting at is that rival brands have caught the pulse of the fashion-conscious Indian customer. They are also quick to change their styles, maintaining a fair degree of freshness in their stocks on shelves. Brands like Zara launch new collections more frequently. Zara launches new designs twice a week and Forever 21 turns its inventory 14 times a year. One of the big mall developers said that Gap should work on its pricing first. “Merchandise can be handled. If they target youth above 25 years, they should meet their aspirations and spirit,” he said. It is not that Gap products are too expensive. For instance, at Gap, prices start at Rs 800 while the entry point at H&M is Rs 1,500 apiece. Forever 21 starts pricing as low as Rs 329 for its online fare. But when one compares the average stock pricing of all the brands, Gap is priced 50 per cent higher than H&M and Zara, according to reports. 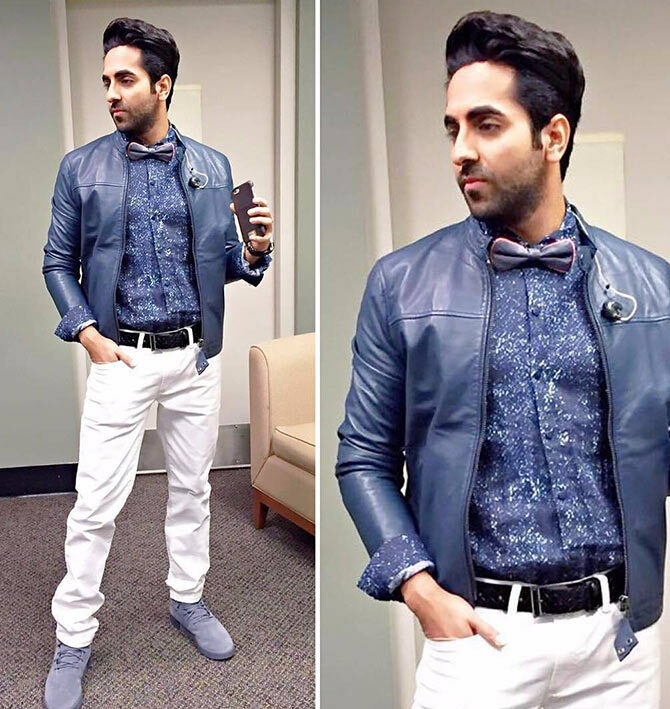 IMAGE: Vicky Donor's Ayushmann Khurrana takes to Gap. Photograph: Kind courtesy www.gap.in. Citing the example of UK-based brand Marks & Spencer which had to cut its prices in India, Baqar Naqvi, business director at Wazir Advisors says that most overseas players who have come to India with same pricing as their home markets have not done well. In 2009, M&S cut prices by 20 per cent to make its products more affordable. But that is not the only issue. “Gap has done very little advertising and promotion, whereas other international entrants are doing so very aggressively. It also has limited penetration, whereas players like Zara have now penetrated tier II towns too and are doing pretty well even in those markets,” Naqvi said. Zara has already cut prices by 10 to 15 per cent. Others are looking at it, say experts. Zara is also facing slowdown in sales growth. Inditex Trent, the JV between Tata owned Trent and Zara’s parent, posted a 17 per cent growth in sales in FY 2016, its slowest growth since opening stores here. Suresh J says he is aware of the criticism but adds that Gap is doing well in terms of sales per square feet. He refused to share numbers but agreed that a 10 to 15 per cent cut in prices may help the brand move its merchandise faster and said they were working on it. He also added that Arvind was working with the Gap sourcing team to increase production from India to avoid hefty import duties. Gap has also started selling online, which he believes will give it an edge over Zara and H&M who do not sell online so far in the country.